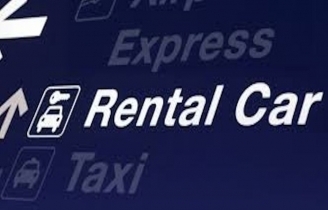 When searching for your car rental, you will see a type of car named a people carrier. A people carrier is a large car, providing more headroom and luggage area. People carriers come in a variety of seating arrangement, the most popular being 7-seat and 9-seat. Drivers benefit from having all-round vision, great performance and familiar steering and controls, similar to a family saloon car. Popular with children because of their individual seating, a people carrier is the best vehicle to book when traveling longer distances with a family. What are Examples of People Carriers ? When you hire a people carrier from Best Car Hire you will typically be offered the following examples: Volkswagen Touran (7 seat minivan), Volkswagen Sharan (7 seat minivan), Opel Zafira (7-seat minivan), Ford Tourneo (9-seat minivan), Opel Vivaro (9-seat minivan), Ford Galaxy (7-seat minivan), Ford Transit (9-seat minivan), Seat Alhambra (7-seat minivan), Volkswagen Caddy (7-seat minivan), Citroen C4 Grand Picasso (7-seat minivan) or the Kia Carens (7-seat minivan). What is the Equivalent Car to a People Carrier in the USA ? In the USA a People Carrier is referred to as a Minivan. What Other Names are People Carriers Known By ? A People Carrier can also be referred to as an MPV (multi-purpose vehicle) or a space wagon.